Eye Massager massage,To help alleviate eye fatigue caused by extended use of computers, long periods of driving, studying and reading. Eye Massager FF608B can give you a massage relaxation with revitalizing effects by improving blood microcirculation around the eyes. It is a very useful device that gives your eyes well deserved moments of relaxation after a stressful day. Prevent myopia, neurasthenia and insomnia. Use it 5-10 minutes before sleeping every night, it can relax nerve sufficently, it is easy to have a deep sleep. It features 26 soft massage. 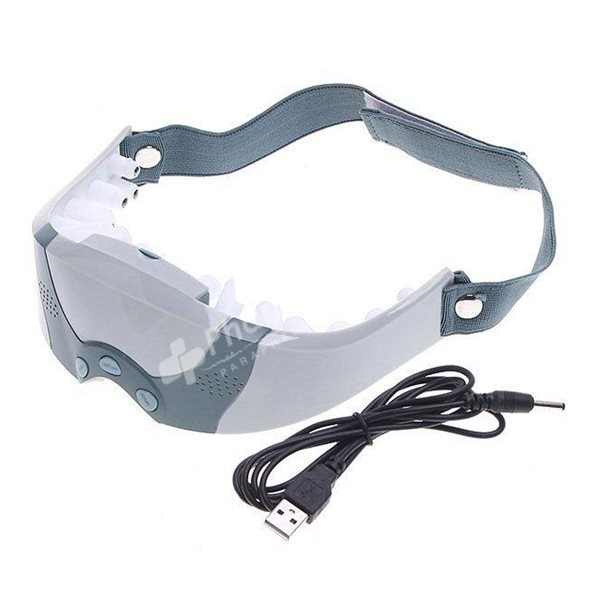 The device Eye Massager Massage For Eyes FF608B can feed through two 1.5V batteries type LR3 (batteries not included) or directly from the USB port of a PC / laptop / notebook via USB cable (included) with 2m. Very light and easy to wear, is fixed on the head with a wide elastic band, adjustable length with Velcro-type fastening system.